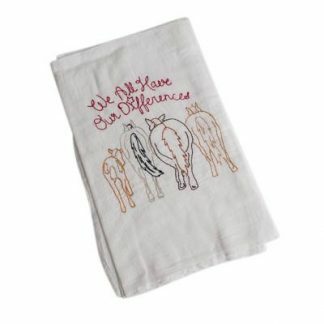 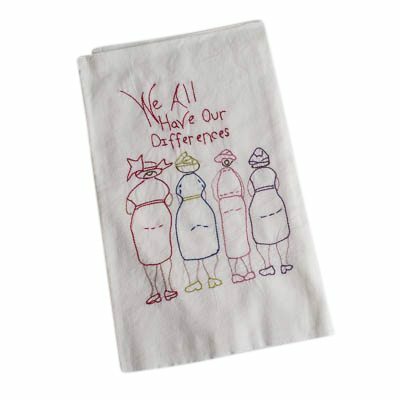 Tea Towels hand embroidered with “We All Have our Differences” add function and whimsy to your kitchen or bar. 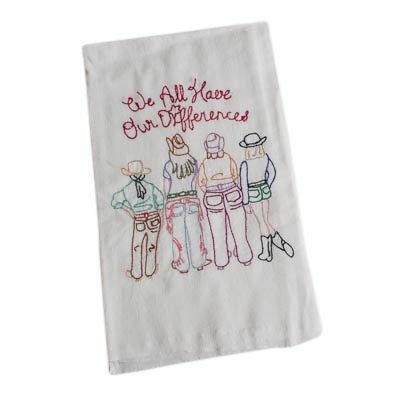 The theme, “We All Have Our Differences” illustrates the backsides of people and horses and celebrates our different shapes. 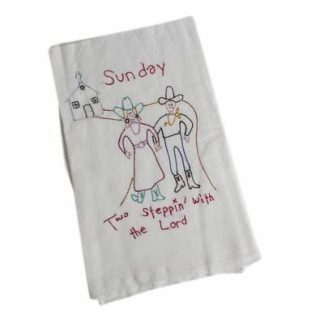 Be sure and look at all the pictures to select your favorite, or buy one of each. Each towel measures 30″ x 30″ and is machine washable. 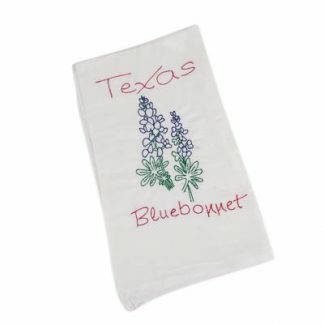 Great for housewarming gifts, bridal showers, and stocking stuffers.